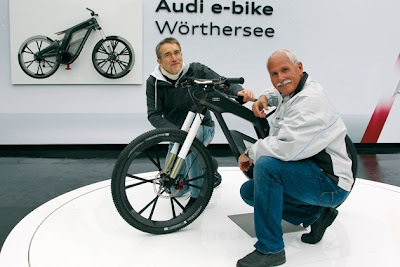 Audi unveiled an extremely emotion-inspiring sports machine, the Audi e-bike Wrthersee at Wrthersee in Carinthia, Austria. The prototype cycle combines an electric drive and muscle power. 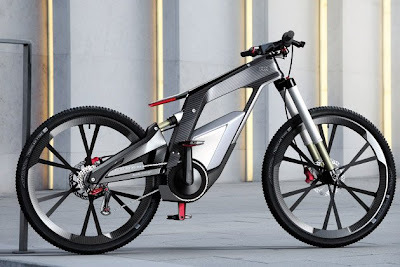 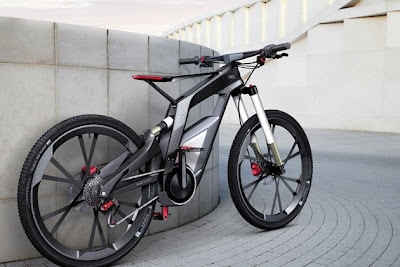 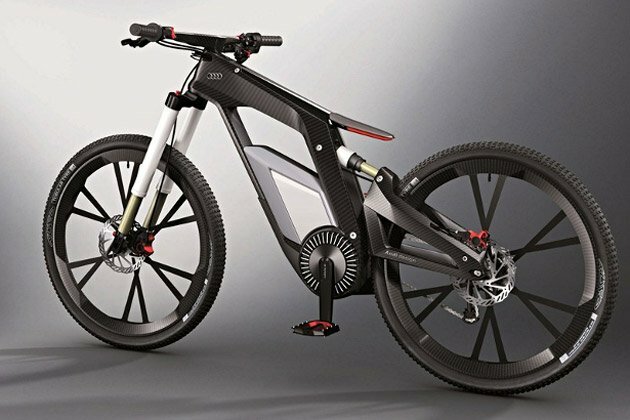 Head of Design Wolfgang Egger comments: As a high-performance e-bike for sports and trick cycling, it features the Audi core competences of design, ultra, e-tron and connect. The Audi e-bike Wrthersee puts in its first major appearance at this years Wrthersee Tour, the 31st meet for Audi, VW, Seat and Skoda fans where the trial biker Julien Dupont and downhill specialist Petra Bernhard will demonstrate their stunts and street-bike skills. 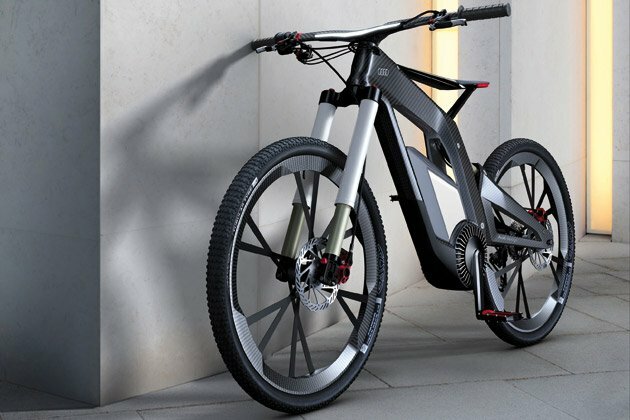 The uncompromising dynamism of the bike prototype is fully visible at first sight. When developing the Audi e-bike Wrthersee, the designers drew on motor racing design principles for inspiration, explains Hendrik Schaefers, one of the designers at Concept Design Studio Munich. 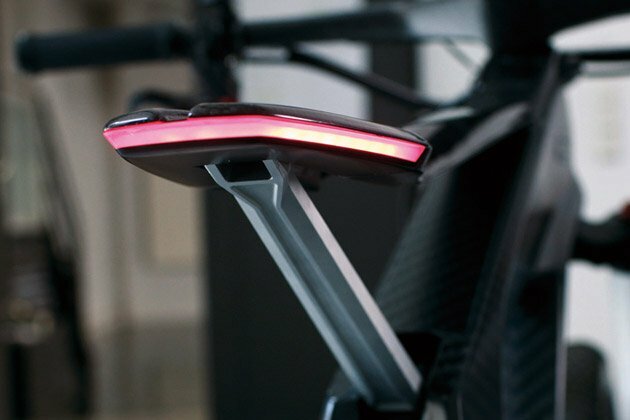 The e-bike appears incredibly precise, highly emotional and strictly functional. 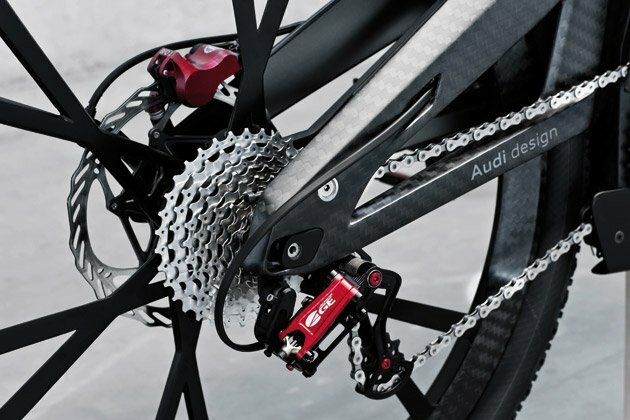 Indeed, the design effort focused on its function as a sports machine. 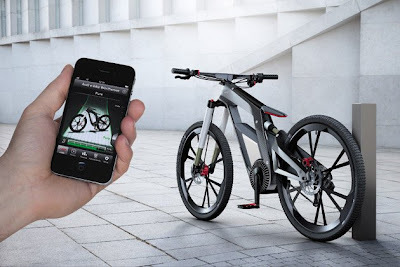 All design elements are thus firmly aligned to the technical features. 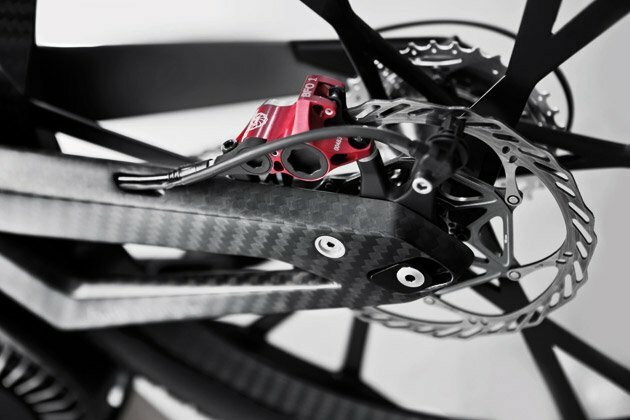 The airy frame boasts a low center of gravity and a compact overall volume. 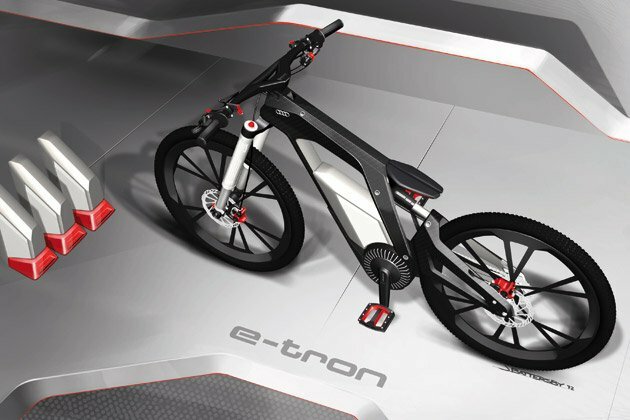 In this way, the e- bike is superbly agile at the sporty handling limits. 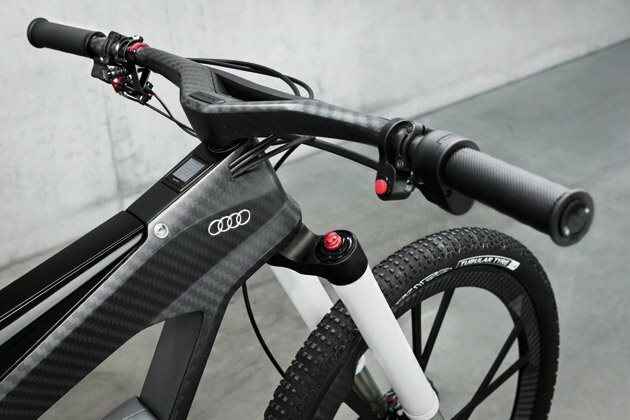 The lithium-ion battery is incorporated into the frame and needs 2.5 hours to fully charge. 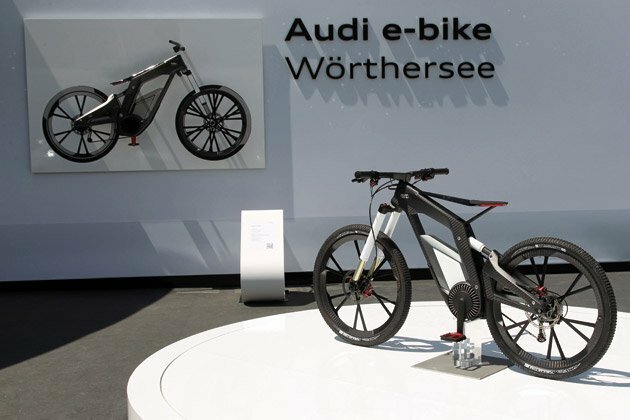 On long trial tours, only a few simple steps are required to remove the battery and replace it with a charged one. The frame and the swinging arm that holds the back wheel are made of carbon fiber- reinforced polymer (CFRP). The same material is used for the 26 wheels, which feature an innovative Audi ultra blade design with broad flat spokes for an optimized transmission of pedal power. 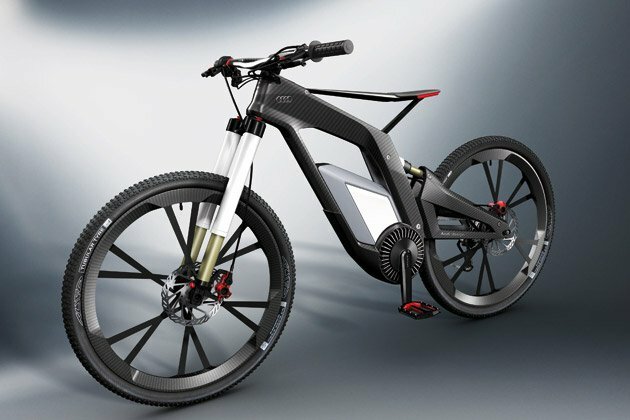 "We were able to demonstrate with the choice of materials just how closely design goes hand in hand with expertise in ultra lightweight construction", Hendrik Schaefers comments. 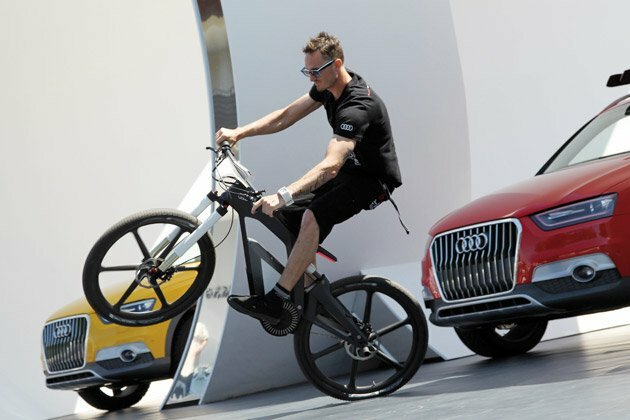 When performing wheelies, an electronic control system supports the rider when performing tricks and back-wheel biking. 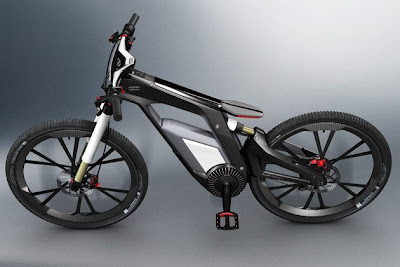 Different modes can be set using a smartphone or directly on the e-bike either Power Wheelie mode, with adjustable wheelie angle for less skilled bikers or Balanced Wheelie mode for sporting challenges.